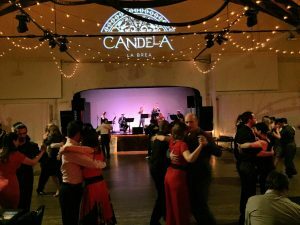 The dance of tango, which has not changed much since its inception in the late 1800s, attracts people of all kinds from throughout the world, including a few Malibu residents, and the editor of this newspaper, Laura Tate. Brad Pitt and Angelina Jolie did it in “Mr. and Mrs. Smith,” Matthew McConaughey and Jennifer Lopez did it in “The Wedding Planner,” and Salma Hayek and Ashley Judd did it in “Frida.” They all danced Argentine tango, a dance and music that originated in Buenos Aires around 1880, a conservative time period when a man merely touching a woman’s back while dancing was thought to have been risqu�. 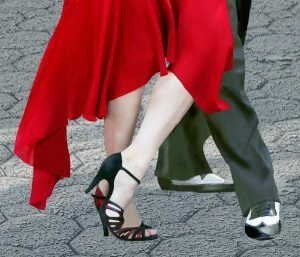 In addition to the social, and emotional benefits of tango dancing there are surprising physical advantages. Scientific research featured in the July 2008 issue of Scientific American magazine has also proven that Argentine tango helps relieve the symptoms of neurological disorders such as Parkinson’s and Alzheimer’s disease, and has also been linked to improved heart health, better balance (particularly for seniors susceptible to falls and injuries), improved memory and weight loss. Paiva Jr. has the dance in his blood from his father, a legend in the Argentine tango world, whom, with his older brother, Oscar, he watched practice, teach and perform as a child. (Paiva Sr., who lived in Los Angeles with his family in the late ’70s to the early ’80s, coming back to teach through the ’90s, is credited with helping to begin the Argentine tango social scene in Los Angeles and in the Bay Area after the show “Tango Argentina!” toured the States. 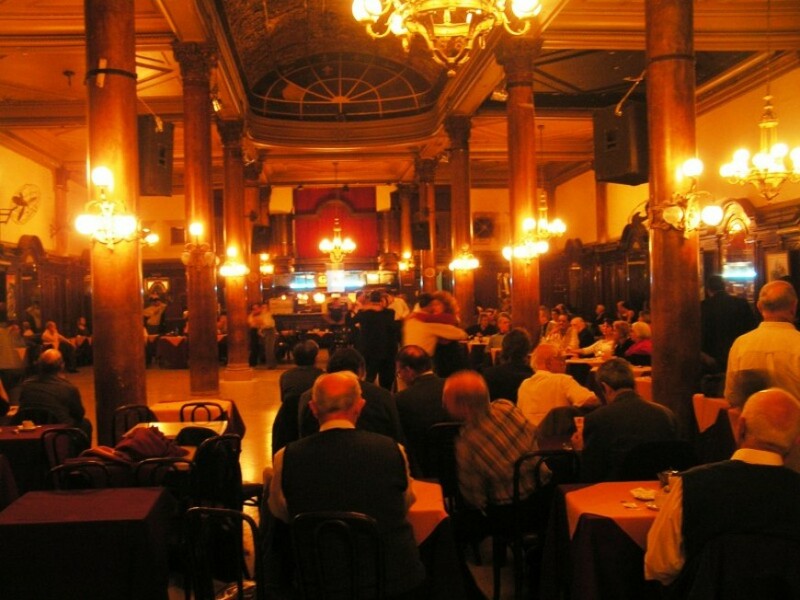 Celebrities, like Robert Duvall, who became enthralled with tango, took regular lessons from Paiva Sr., and Duvall even featured him in the film “Assassination Tango.”) Paiva Jr. began teaching tango in Rosario, Argentina in his father’s studio before branching out to numerous countries throughout Europe and the United States. Paiva Jr.’s unmatched talent and teaching techniques have attracted the likes of people from all over the world, including Malibu residents Bruce Stratton and Peter and Linda Pop. Also a passionate and talented tango dancer is Laura Tate, associate publisher and editor of The Malibu Times newspaper and magazine. Tate, Paiva Jr.’s girlfriend and dance partner, became deeply involved with dancing after the birth of her now 11-year-old son, though she said she had always loved music and dancing as a child. 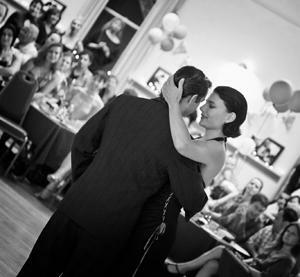 Tate began with swing and salsa dancing before becoming enthralled with Argentine tango. “The music is rich, and full of feeling, and the way people connect-a man and a woman, strangers, couples etc., coming together to share a few minutes of magic together-it’s an almost impossible feeling to describe,” she said. Though she has never tried competitive dancing, and has no desire to do so, Tate has assisted in classes and performed at various events and venues with Paiva Jr. 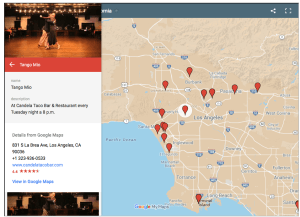 The couple hosts milongas (tango social dances) in various places in Los Angeles, and has performed at many events including an Argentine tango festival in Buenos Aires last year in memory of Orlando’s father (who died in November of 2006). In addition to teaching at their milongas, Paiva Jr. also teaches classes in Westlake and Reseda. Tango Masquerade, presented by Paiva Jr. and Tate, will take place Oct. 31 to Nov. 2 at the Marriott Hotel in Burbank. It is a three-day tango festival featuring a Halloween tango costume ball, tango classes, dancing, a gala dinner show, master teachers performances (including Paiva Jr. and Tate) and the Fashion-Fusion Tango show to raise funds for the National Breast Cancer Foundation. 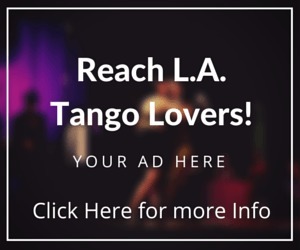 More information on the Tango Masquerade festival can be found online at www.tangomasquerade.com or by emailing info@tangomasquerade.com or calling 818.857.9021.